Act now and save 10% off your order from Brain Sensei with this coupon code. Sign up for the complete course with Brain Sensei to save 35% off individual courses. Act now and enjoy a free trial of Brain Sensei today! Check out Brain Sensei online for their latest special offers. 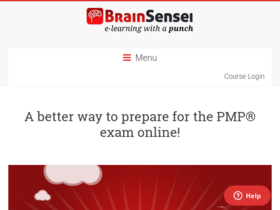 Check out Brain Sensei today for courses from just $9 per month.